Most people starting out in the world of drums don’t realize quite how much variation there is in the equipment. What is best for one style of play or genre of music may be terrible for another. Jazz drumming is unique in so many ways, not least the sounds that the drummer has at his or her disposal via their drum set. 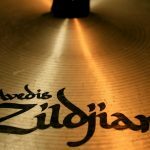 In this article, we look at the best Jazz cymbals and the impact their sound can have on any jazz performance or recording, as well as offering guidance on which cymbal is likely to be the top choice for your kit. Meinl are a good brand who manufacture a lot of cymbals, these ones, in particular, being popular for jazz players. The HCS20R are well-built and durable, and though they’re not built as ‘professional’ models, they are a good option for beginner and intermediate players, especially for the price. 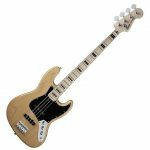 With a 20″ size, these are actually a little on the ‘bright’ sounding side for jazz, but this will ultimately come down to your playing style. 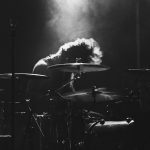 The advantage of a slightly bright sound is that it cuts through the sound of your bandmates and other instruments to create a well-rounded sound. It does have more of a modern sound, but for the price, it is hard to argue with the Meinl HCS20R. This cymbal is sold on its own, or as part of a kit which at time of writing is not much more expensive. This is one of the best cymbal packs for jazz if you are on a budget. In the pack, you get a 13″ hi-hat cymbal pair, 14″ crash cymbal, a free splash and a pair of 5A wood tip drumsticks. It is clear that this is designed more for beginners but this is a great way to get a great deal of value if you are just starting out. A quick look at some consumer reviews will tell you that there are a lot of people rating both the set of cymbals and the HCS20R on its own very highly. Though most of the cymbals we’re including are Rides which can also function as crash cymbals, we’ve included some others too, including the Meinl Cymbals HCS13H which are perfect hi-hats for that jazzy sound. The sound of hi-hats and crash cymbals are a little less unique in Jazz than the ride, so you can be a little less specific with these purchases, but we wanted to recommend the Meinl HCS13H as they perform at a level far above what their price would suggest. A crisp, versatile sound, these are sold as a pair and marketed mainly for beginners. Designed in tandem with Jazz musician and Zildjian ambassador Adam Nussbaum, the Constantinople Ride comes in a few different varieties, all of which are pretty great for jazz players. That said, the ‘medium’ ride in their range has a really bold, stand-out sound which we absolutely love, whilst retaining the lower, dark sound we associate with great jazz. The brand boasts that this cymbal offers defined fundamentals and some superb overtones. It was inevitable that we would be recommending this particular ride cymbal as it is used by so many drummers around the world. This cymbal is a 22″ model but is also available in 20″. The other variations are entitled the “Thin Ride”, “Renaissance Ride” and “Bounce Ride”. All of them have a jazz feel but with their own subtle, nuanced differences. It has been manufactured using Zildjian’s unique blend of modern and classic techniques which gives it a really vintage sound, harking back to those golden days in the 50s, 60s, and 70s. The tones that are on offer from the Constantinople cymbal gives a blank canvas for a good drummer to add a huge amount of color to their playing. The price, as you may expect, is on the high side due to the immense professionalism of this wonderful cymbal. If you are a pro, this comes with our highest recommendation. As a side note, if you’re going to spend this much on a cymbal, be sure to protect it! We have a full article on the best cymbal bags to protect your drums! A more affordable option, also by prolific drum brand Zildjian. The ZBT Ride is aimed at the mid-range player, but don’t let that fool you. This is a well-reviewed cymbal which can do a brilliant job in your Jazz Drumset. We recommend the 22″ size. The thin design and small radius give a medium to low ring and make this a good option for jazz. The clean definition of this cymbal when it is struck is another plus point. It doesn’t have all of the depth some of the more vintage models do, but for the price, it is hard to argue with the ZBT range. 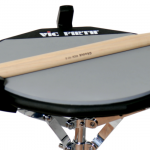 Available in 18, 20 and 22-inch sizes, so you can take your choice dependant on your own style of playing. Another ride from another brand. The Sabian SBR is another option which doesn’t hit the pocketbook too hard. At the time of me writing this, it is one of the best-selling ride cymbals on the market, and with good reason. The sound is pretty versatile, hence being able to use it for jazz. It doesn’t have the vintage feel of the Constantinople or some of the more expensive crash cymbals, but considering the price, it does a fine replication. The Sabian isn’t necessarily a specific Jazz cymbal, but considering the quality on offer, it is worthy of its place on the list. If you want a lower, darker sound you may have to upgrade to a different Jazz cymbal. As the Ride is a unique sound to the genre of Jazz, most of the products recommended are darker sounding rides. 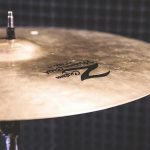 The others are still important, and we’ve included guides to the best jazz hi-hats and the best crash cymbals elsewhere on the site including our article exploring the top China Cymbals. A drummer’s cymbals are quite a unique choice. The majority of the Jazz signature definitely comes from a good ride. Which you can combine with any number of other drums for your own specific sound. Jazz is a unique genre for many reasons, one of which being that the cymbal plays a bigger part than in many genres. 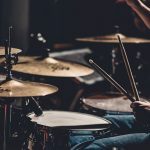 The ride cymbal especially, known for driving along those toe-tapping jazz rhythms, is vital when it comes to driving the track along, and is a huge part of the jazz ‘feel’. The older styles of jazz, dating back to bebop in the 50s or even on to experimental jazz like Miles Davis tend to use a darker tone in their cymbals, with a longer sustain. These types of cymbals were more common 50 to 100 years ago, and though many modern drummers use brighter sounding cymbals, the traditional ‘jazz’ sound definitely lies in dark cymbals. To achieve this sound, many drummers opt for 20-inch or 22-inch ride cymbals. 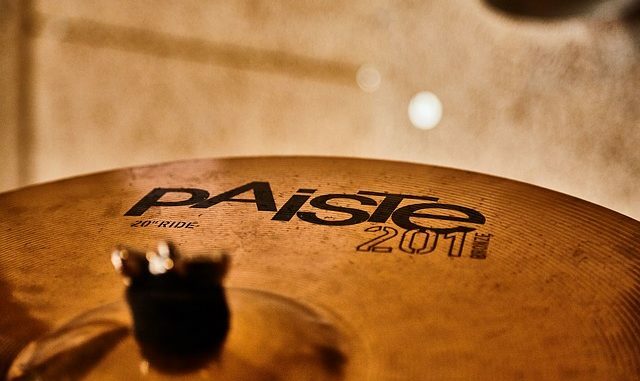 Companies such as Sabian, Zildjian and Paiste offer some brilliant choices in these sizes, all of which have unmistakably Jazz sounds to them. We’ve picked out the best and created some short cymbal reviews to help budding Jazz drummers make this decision. Of the models we’ve mentioned, we have tried our best, as always, to include products at a variety of different price points. Music is an expensive hobby (or profession) and we understand not everyone is looking to spend hundreds of dollars, you may be in the market for a cymbal under $100 or even under $50. The clear recommendation we have, should it be within your price range, is the Zildjian Constantinople. This is the standout Ride cymbal we explored. The other models mentioned aren’t to be written off though and there are some great options for a budget to suit you.